Last year, a prodigious group of musicians took the internet by storm with IndianRaga’s single ‘Carnatic Take’ on Ed Sheeran’s Shape of You and the Carnatic-style cover of Sia’s popular song, Cheap Thrills. The MIT-founded performing arts company IndianRaga clearly had a unique approach – re-jigging classical music content with high-quality videos for a new medium which is accessible for a worldwide audience. The digital startup’s co-founder and CEO, Sriram Emani, who founded IndianRaga as a student in MIT, Boston, in 2012, is now ready to launch the Vizag Raga Labs with local artistes and hopes to get the videos go viral. The project was done in collaboration with Manda Sudha Rani’s Hamsa Academy of Music, Scriptures and Arts. 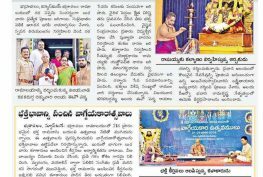 “Over the past year, IndianRaga has been getting wide visibility across Andhra Pradesh, particularly Visakhapatnam. Many young artists have been reaching out to us requesting to be featured in our videos, and to learn how to collaborate ‘IndianRaga style’. So we partnered with Sri Chakra Cements to launch a series of Raga Labs in Visakhapatnam and Hyderabad for featuring the best young talents to the world,” says Sriram. 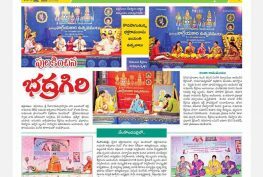 In Vizag, one of the groups will feature a special short showcase of the padyam style of music in Telugu culture as a tribute to Bhadrachala Ramadasu, followed by his kriti Emayya Rama. 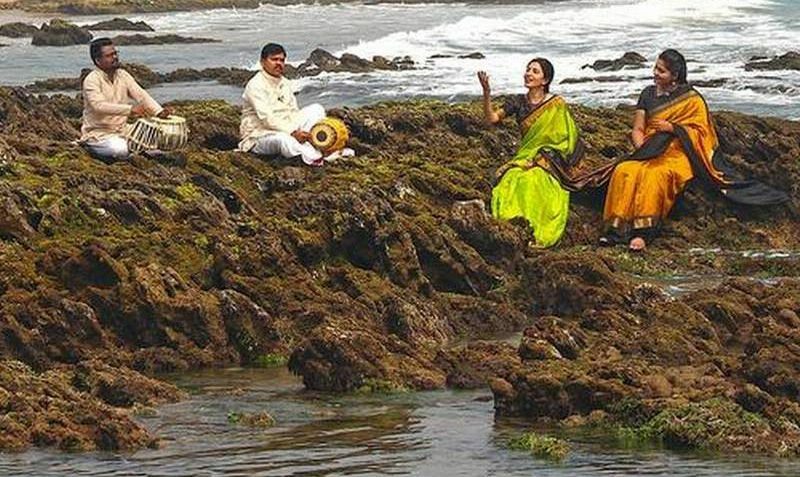 The other group will be featuring a unique experimental Dadra — jaavali mash-up Sarasamulaadetanduku done to showcase strong Hindustani as well as Carnatic classical talents of Vizag and Hyderabad. “The best of civilizations were known for their fantastic artistic traditions, and with stalwarts like Bhadrachala Ramadasu, Annamayya and many others having endowed us with such priceless musical treasures; we at IndianRaga are keen on taking this talent to the global stage through our award-winning platform,” explains Sriram. The initiative took shape after Sriram discussed the vision for the project with Manda Sudha Rani and decided to do these two videos. The groups sent their initial rehearsal recordings, and a global panel of IndianRaga experts provided detailed feedback to them on how to refine it for best results on social media for a wide audience. “After refining it we took the groups to a recording studio in Bheemunipatnam and the video shoot happened the next day near Thotlakonda Beach,” Sriram adds. With several breathtaking shots taken by the beachside and the hills of Thotlakonda, the videos are ready to hit the web in a few weeks at youtube.com/ragalabs and facebook.com/ragalabs. “The interesting part of Vizag Raga Labs project is that the essence of classical music is very much intact. The video is shot in a unique way in a natural ambience. The one featuring the padyam style has a one and half minute of padyam (Telugu verse) mixed with music that reflects the ‘bhavam’ (emotions) of the composer. This will be something absolutely new and different involving a group of local talents and I am really excited about it,” says Manda Sudha Rani. Harini Rao, a Hindustani vocalist from Hyderabad who features in the dadra-jaavali mashup says that the video is a completely new experiment of jugalbandi never done before. “It was challenging and a very intense experience. There is so much of music stuffed in the six-minute of video and is very different from a concert perspective I did before. The first challenge was to match similar compositions in dadra and jaavali. We recorded it in such a way that where I end my notes, the Carnatic vocalist Sruthi Ravali Manda picks up from there. We have a little playful ‘sawal-jawab’ that happens in the course of the video,” says Harini. “The way the video is shot lends a beautiful poetic element to the romantic theme of the song. This is going to be a real surprise for the music lovers,” says Sruthi. Incidentally, Sriram’s father Apparao Emani, who is the head of operations of IndianRaga, has had a long association with the city. “I have grown up here and was familiar with the locations and what it would take to shoot a Raga Labs video that would be on par with our global standards. We are delighted that each video has a unique setting that reflects the spirit and vibe of the piece at the same time highlighting the beauty of Visakhapatnam that is poised to grow rapidly in art, culture and entertainment. The city has always been a hub for great talent especially in core art forms that are authentically ‘Telugu’ in nature, but in recent times the number of professional artists in the city is multiplying at a rapid pace,” he adds. IndianRaga operates in over 40 global cities to bring together the best emerging talents who have collaborated to produce over 450 videos viewed by more than 30 million audiences across 65 countries. Raga Labs is a platform provided by IndianRaga to recognise the best talent in a city, and bring them together to engage in high quality, creative collaborations that are showcased to millions of global audiences. The final videos are released by IndianRaga on the Raga Labs channel, and thousands of audiences engage with it through social media. Participants in the past have used these videos for college applications, resumes, and as beautiful memories for life to record and capture their artistic talent.